I will admit there are many foods I have yet to try in my life. A semi-picky eater as a child, then vegetarian for six years, left me many missed opportunities. So it is only recently that I am opening my doors to the new. Last week it was skate, over the weekend it was pork belly, and today it is passion fruit. It is true. 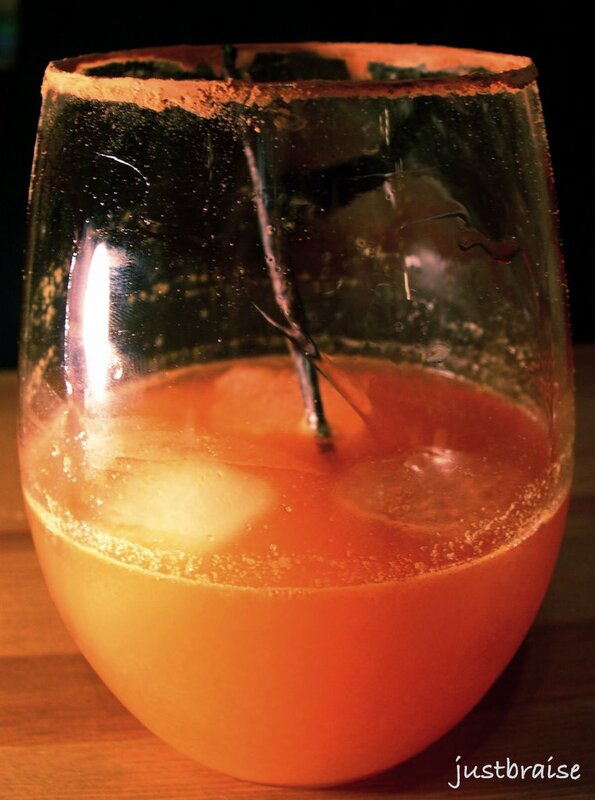 I must sadly come to terms to the fact that I have never (knowingly) had passion fruit before today-- okay, two days before: At a recent brunch I discussed with friend, R, how I love Looza’s Tomato Juice because it is 100% pure tomato juice—the perfect base for an excellent Bloody Mary. He dared me to try the Passion Fruit, “truly amazing.” So the next time I saw it in stock I took the challenge and bought some. Once in my mouth I was brought to the Caribbean. So as I went shopping one day my eyes fell upon a plum-looking fruit. The sign read “Passion Fruit.” A bit pricey at $1.50 a piece; I decided it needed trying, regardless. Originally from Brazil, passion fruit got its name from Spanish missionaries who thought the fruit resembled religious symbols, like the crown of thorns. In Spanish, it is known as granadilla or “little pomegranate,” possibly because like the pomegranate, it is the pulpy seeds that are eaten. Passion fruits are small with an overwhelmingly sweet pulp that is often strained for juice or sauces (though the seeds can be eaten). A good source of vitamins A, C and fiber (some claim it to be the highest fiber source of all fruits) and high in potassium, the flavor and health benefits of these little wonders go a long way. Passion fruits are available in shades of purple or yellow (a more tart fruit) depending on the variety. When purchasing, pick the largest fruit available. It should be firm and as it ripens, the skin’s ridgidity should keep, while becoming slightly shriveled when ripe. When it is ready to eat, slice it in half, scoop out the seeds, and use them as-is or strain the pulp and just use the juice. Either way, this fruit is pure indulgence that should be tried. The combination in this salad was pure tropic. The light, watery crispness of jicama (hick-e-ma) pairs perfectly with the buttery smoothness of avocado. A sprinkling of cayenne pepper gives this salad a great kick. 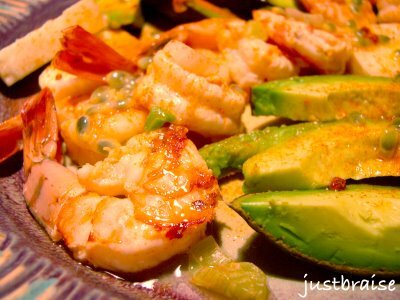 When drizzled with passion fruit seeds and a smattering of shrimp, this salad is utterly delicious. Serves 2. Active Time= 15 minutes. Inactive time= 1 hour. 1) Place the cleaned shrimp, beer, lime and scallion in a bowl. 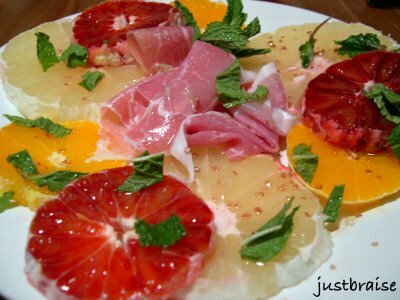 Mix and let marinate in the refrigerator for 1 hour. 2) When shrimp are done, using a grill pan (or real grill) set to medium cook the shrimp, 2-3 minutes each side, until they turn pink/ char slightly and curl. Place in a fresh bowl in the refrigerator to chill while prepping the rest. 3) Peel and slice the avocado and jicama, arranging them on 2 plates. Remove the shrimp from the refrigerator and arrange it on the plate. Sprinkle with cayenne pepper and passion fruit pulp. Drizzle with lime juice (optional). Valued for centuries in Europe for its delicate scallop-like flavor and crab-like consistency, skate is the bottom dweller brought here to the spotlight. Relative of the ray (as in sting ray), skates are oft admired for their smooth gliding ability. Their flattened diamond bodies barely skim the ocean floors, graceful and streamline, possibly the inspiration to many silver screen sci-fi futuristic machines—an interesting fact since these are some of the oldest underwater dwellers man knows. Rumor has it that “faux” scallops are made from the meat of skate, but this is probably without merit. Though if the sweet scallop taste is desired, skate is an inexpensive and delicious alternative. It is also very healthy: low in calories and fat; loaded with protein and vitamin E. They are also without bones. Like sharks, the skate endoskeleton is made up of cartilage. This makes for easy cleaning and less hidden obstacles to choke down the throat. Recently in the fish market I took notice to skates. Their fan-like “wings” create an appealing span visually. I probably bought this one because of the Olympics and so much skating (the sport) on television. I finally thought to give skate (the fish) a try. In the New York area skates are at peak season April to June, and to a lesser extent now, October to February. For whatever reason, they have not gained much popularity in the United States and their cost reflects this (I found mine for $1.99 a pound). They are sometimes sold with their cartilage and skin in tact, though I found mine skinless and free of cartilage (often fish markets will de-“bone” them for you if asked). Like most fish, the less put into it, the better it will taste, allowing its true delicate flavor to shine through. I did some rummaging and found most skate recipes called for a simple and quick pan fry, topped with a butter sauce. I followed this advice. The sweet potato chips with balsamic reduction were inspiration from a cooking show I saw on PBS over the weekend; balsamic reduction, placed over acorn squash. I did not have acorn squash, but thought sweet potato chips would do nicely. This meal was filling, delicious, healthy and visually stunning. It is a semi-sweet, full of textures and flavors. For all the different elements, it is quick and easy to make and should be tried. Skate might just become your new favorite fish. Note: All this may seem hectic and like a lot of steps to follow. It is really simple if you know what ingredients go to what and keep on top of things. Everything falls into place once you get started. Plus, so few ingredients are used it is difficult to really mess anything up. Serves 2. Active Time= 30 minutes. Inactive time= 20 minutes. 1) In a small pot with water, over medium heat, add whole sweet potato (skinned). Bring to a boil and cook for 20 minutes. 2) Remove from boiling water and run under cold water to bring temperature down so you can handle the potato. Cut into ¼-inch discs. 4) In the skillet, fry the potato discs until lightly browned, about 8 minutes. The balsamic should be slightly thickened at this point. Remove the balsamic reduction from the heat, leaving in saucepan; it will continue to thicken. 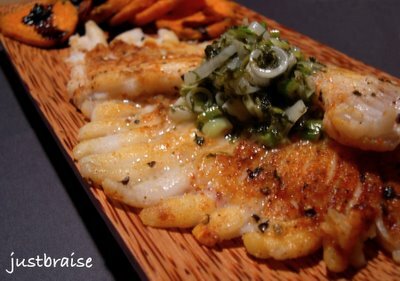 Place potatoes in the oven at 250F to keep warm while you prepare the skate (recipe below). When ready to serve, drizzle balsamic reduction over top. 1) Wash off and pat the skate dry. (If pan is large enough to fit both skates, leave whole; otherwise, cut into halves or quarters.) Cover with salt and pepper to taste; sprinkle one side with paprika. Sprinkle flour on both sides. 1) Begin sauce before prepping skate. Prep skate as butter is browning, keeping an eye so as not to burn. In a saucepan on medium heat, melt butter with scallions. Heat until butter begins to brown and emits a nutty aroma. Add parsley, stir and remove from heat. When I visit friends and family in Chicago I am taken to an inviting Indian restaurant. Upon arrival, diners are promptly brought a sweet, buttery, roasted red pepper dipping sauce accompanied by a basket of steaming nan. I can sit there all night undecided on what to order, finish off a bowl of dipping sauce, and leave happy and fulfilled. This soup is made with that dip in mind. With the removal of some butter and the addition of some hearty chicken stock, it provides the perfect meal. The natural sweetness of the red pepper is brought to its fullest potential in this dish, taking center stage. It is sweet and beautiful: the black burnt skin adds a stunning accent against the deep scarlet of the soup. It is a healthy dish in these cold winter months. 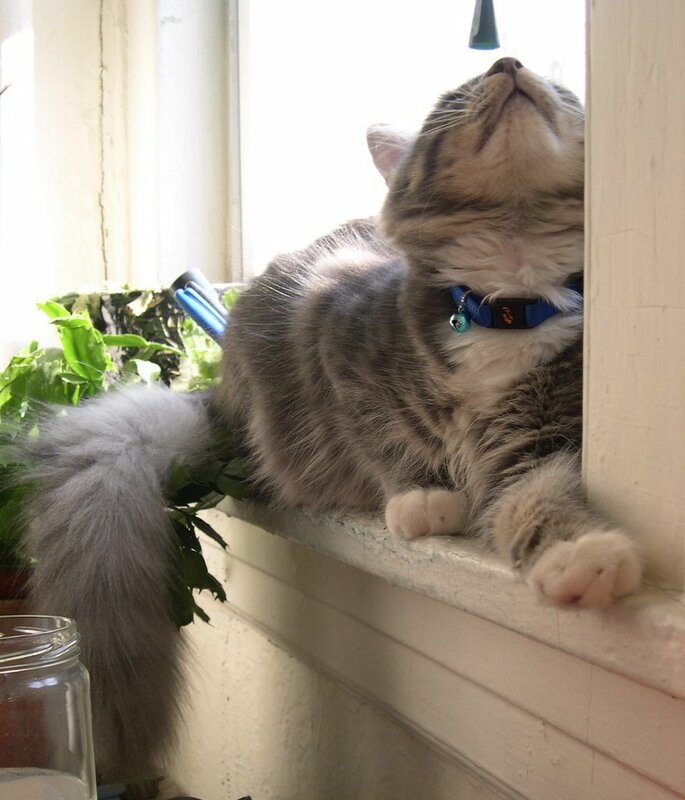 In the height of summer, it is enjoyable cold. For those that crave zest, add a little hot sauce, providing a perfect companion. For something more comforting, an addition of cream or milk provides a thicker consistency. Red peppers are high in vitamin C and antioxidants while remaining low in calories. In this soup, I made my own stock (bought stock may also be used). I left whole chunks of vegetables in the stock along with chicken. I separated the chicken from the vegetables, adding the vegetables to the roasted red peppers and tomatoes, puréed with everything else. Chicken was returned post-purée to make this extra hearty. The verdict is that this soup is sweet, savory and aesthetically pleasing in the bowl. Served along with a toasted bagel or crispy bread, this is the perfect meal. Serves about 8. Active Time= 15 minutes. Inactive time= 1 hour. 1) In an oven-safe dish, arrange tomatoes and peppers skin up. Use a dish that is large enough to avoid overlapping too much. Add garlic cloves. Drizzle with olive oil and put under the boiler for 20-30 minutes. Remove when skin of vegetables is blackened. Using tongs, place red pepper, tomatoes and garlic in a paper bag (rest inside a bowl to catch liquids). Close and let rest 20 minutes to continue cooking. Retain any liquid left in the baking dish. 2) While red peppers, garlic and tomatoes are in the bag, over medium melt butter in a soup pot. Sauté onion, celery and carrots until onion is soft, 8-10 minutes. Add stock and tomato paste; let warm. 3) Add peppers, tomato, garlic and any remaining liquid to the soup pot. Add parsley and bring to a simmer. Carefully in batches using a blender, or with a hand-held cordless blender, purée the soup. 4) Garnish with fresh parsley. Add chicken, cream or milk if desired. NOTE: If you desire the addition of chicken, and do not have it in the stock, simply cook some up on a pan and add it after the soup is puréed. To keep this vegetarian but add some heartiness, toss chopped mushrooms in with the onions, celery and carrots. 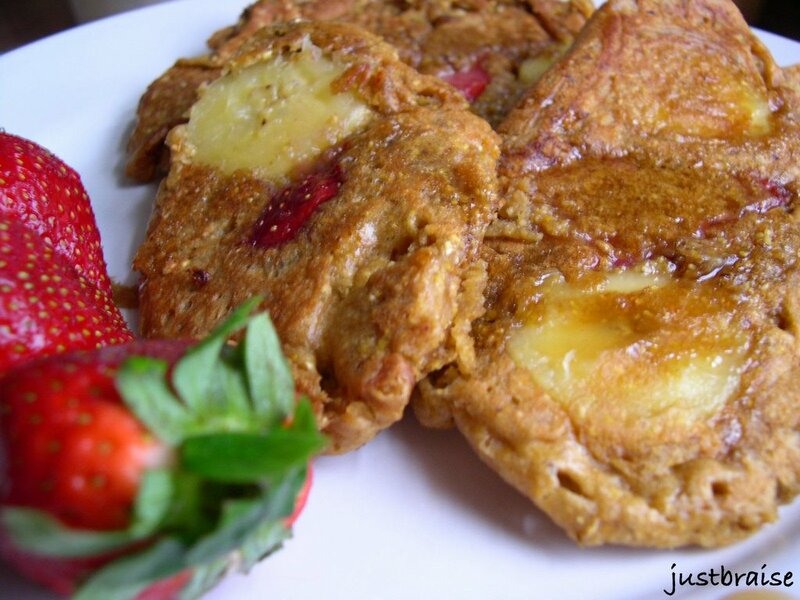 Head on over to Sweetnicks for more ARF/5-A-Day recipes! Vitamin C is vital to staying healthy in flu season. This simple powerhouse rears its head in numerous supplements. Today, one is able to uncover vitamin C enhanced dairy and cereal products. New beverages proclaim to be “C Monster” or “Ex-C-lent.” But like most things, it is always more satisfying in the natural state. With Chinese New Year having just past, oranges are on the mind. Thought to have originated in the orient, it is no surprise that numerous Asian dishes contain oranges in some form. It is also no surprise then that citrus translates as “wealth” and “luck” from the Chinese, which is why it is eaten in the New Year—to bring us wealth and luck. I prefer this tradition to black-eyed peas and cabbage. I recently read a short comparison on blood oranges. In sight and taste tests, the California blood won over the Valencia. So with blood oranges on my mind, I sojourned to the grocery store for the pickings. I returned with two blood oranges and broke into one on my walk home. Once that outer skin was cracked and peel discarded, memory assaulted me: I was sitting in my junior high school cafeteria eating blood orange wedges from my packed lunch. Kids made fun of me and my bloody fruit, saying it was disgusting. I simply ate my crimson fruit, happy that I did not have to share, happy with my gourmet mom, happy with all things good and sweet. In an effort to curb a recent bout of gluttony, I am making more salads in the upcoming weeks. When I was single, salads were a staple. Not so much because they are healthy, but fast and easy. The most effort put into this one is peeling the fruit. (One could also just slice off the peel to save time.) It can even pass as a dessert. This salad is simple, delicious, refreshing, and a little bit different. A culinary amateur can easily prepare this with rave reviews. And do not pass up the salt-- it is a fabulous companion to the citrus. Serves 2. Prep Time= 8 minutes. 1) Peel citrus, and slice into ¼-inch discs; arrange on 2 plates. Over each plate, drizzle the lime juice and sprinkle with mint. Lay 2 slices of prociutto on each plate. Sprinkle generously with sea salt and enjoy. My father loves ice cream. He will not admit it, claiming he is too healthy to put such garbage in his mouth. When I was younger, my father used to purchase ice cream “for the kids;" Rum Raisin and Coffee. I do not know very many children whose favorite ice cream flavors are Rum Raisin or Coffee. Placing the pints in the freezer, talking more to himself than any of us, he would exclaim, “don’t eat too much or you’ll get stomach aches.” In the morning, the pints were gone. Exploring these two ice cream flavors as a child has probably done worlds for my taste buds: On a family vacation in the Dominican Republic I happily participated in taste tests at a rum factory. I am sure the top destination choice for my 6 year old self was in fact, the rum factory. Mesmerized by the gilded thread hugging the bottles, I did not blink when we left the factory with more caseloads of rum than could be carried. Over the years I developed a taste for Rum Raisin ice cream. The smooth vanilla bean base blended perfectly with the spicy kick of rum. When a recent cookie craving threatened an otherwise sweet-less week, a bout of inspiration came to pass: oatmeal raisin cookies, spiked with rum. As the raisins soaked overnight in their rum bath, I plucked one out for a tasting and was brought back to the rum factory; back to the vanishing pints in the freezer. 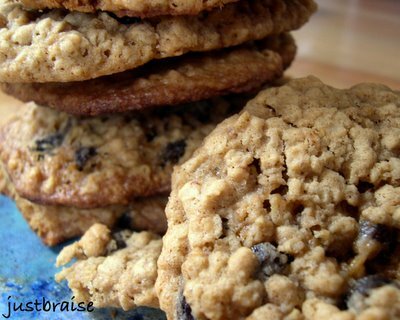 I adapted this recipe from the best oatmeal raisin cookie I know: the bottom of the Quaker Oats box. The changes, other than the rum-soaked raisins, include less butter, allspice, and the addition of rum extract for an extra kick. These cookies are thin and golden with crisp edges, keeping soft centers days later. The rum provides the perfect winter spice while the oats whisper at a meal. Makes about 25 cookies. Prep Time= 10 minutes. Cook Time= 10-12 minutes. 1) Soak raisins in white rum overnight. 2) Preheat oven to 350F. Beat together butter and sugars until creamy. Add eggs, vanilla and rum extract; beat well. 3) Add combined flour, baking soda, cinnamon, allspice, and salt; mix well. Stir in oats and raisins; mix well. 4) Drop by heaping tablespoonfuls onto ungreased cookie sheet, 2 inches apart. 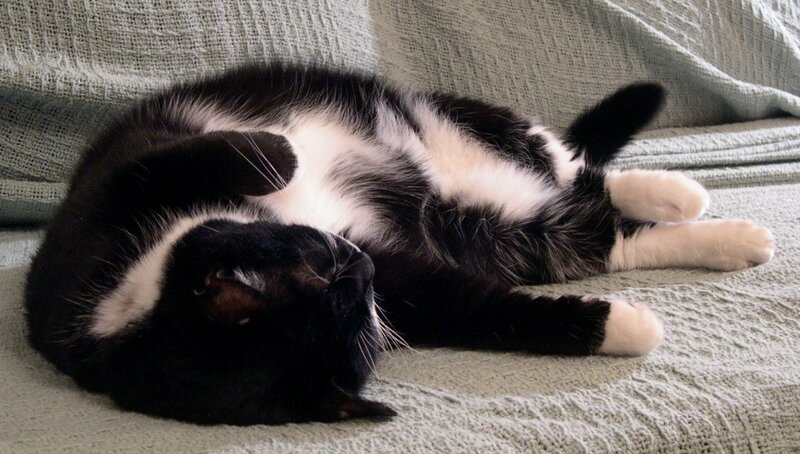 Bake 10-12 minutes or until golden brown. Cool 1 minute on cookie sheet; remove to wire rack. In grade school, each child is more or less required to present everyone a Valentine’s card. Digging through the bought selections, a child picks their favorite for that special someone. As elementary school turns into middle school, it becomes all the more important to receive a Valentine. Children form cliques and get catty. More precisely, children begin to figure themselves out at this time; children can be cruel. Receiving Valentines equates how many friends a child is surrounded by. We get older and Valentines becomes more or less special depending on if we are “with” someone; desperate to find someone before the day approaches to avoid being alone. What someone does for Valentine’s Day is equal to how much one is loved. It becomes a competition between couples: who has the more romantic lover? A few years ago, my roommate and I, both single, sat down to make Valentine cards. With paper in varying degrees of pinks and reds, we cut, pasted, and bejeweled about 100 cards. We hit work, hiding them on peoples’ desks. We hit the bars, handing them to cute single patrons. Everyone who received a card thoroughly enjoyed them, posting them on their bulletin boards for months to come (some still have them posted). I think this means that we do not trade love enough as we age. Desperate for a show of friendship, we will hang on to postcards from anyone and everyone: we want to show off our friends. Or maybe I live in a city full of lonely people. I am now “with” someone, but having grown cynical over the years being “without,” Valentine’s Day is really any other day—people just wear more red. Everyone is still looking for love. Whether it is found amongst friends, lovers, or in food, it is natural to search for comfort. This is my Valentine to you dear reader. Enjoy this beverage at brunch as a sophisticated alternative to the classic mimosa. Present it at dinner for a winning combination. Alone, this beverage is the epitome of urban cosmopolitism. Serving Size= adjust to quantity making. Prep Time= 5 minutes. 1) Place cocoa powder in a dish. Wet rim of glass with orange juice and dip the rim into the cocoa powder. 2) Fill glass with ice cubes. Pour in juice, champagne and vodka. Put the pomegranate concentrate on a spoon. With the spoon up to the inner edge of the glass, slowly release pomegranate concentrate around the inner glass, allowing it to coat the sides. Garnish with vanilla bean which also acts as a swizzle stick. There were few “food” days growing up that I enjoyed rising for. Weekday food treats meant my mother was appeasing one of the three kids about the upcoming school day: Would we be taken to the dentist after school? Did one of us have a test? This could all be gauged by the care put into the weekday breakfast: Chocolate chip pancakes are shots at a doctor’s annual. Cold cereal and orange juice is a regular day. I sat on the floor pulling bows for 45 minutes while my class was lectured about the King. Soon, the sound of footsteps echoed in the halls making their way to the congregation room. I found my class, sunk into the rhythm of their footsteps, and entered the room to sing for the next 20 minutes. Song time ended and I returned to the gift shop. I helped my mother clean and lock up, my brothers would arrive, and we would meet my father at the local delicatessen. Within seconds our platter arrived. It was the same platter that we ordered every Sunday: 1 pound thinly sliced Nova smoked salmon, 2 slender glistening white fish, 1 scoop plain cream cheese, 1 scoop chive, sliced tomatoes, onions and a bucket of pickles. Each received a plate with their personal bagel: sesame for my father, everything for my mother, plain for my older brother, raisin for the younger, and egg for me-- all toasted or fresh according to taste. Now, when I eat smoked salmon, I cannot help but remember those platters of fish for my family. Needless to say, I can appreciate smoked salmon in a variety of ways these days. It does not hurt to have a bagel with a schmear on the side, though. 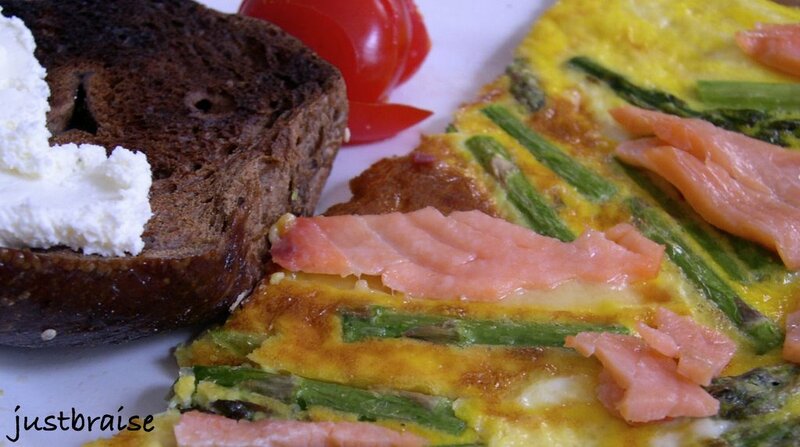 Smoked salmon is usually reserved for special occasions now-- a wee too decadent for weekly consumption. This Valentine’s Day, have a special meal. Better than going out is making something at home. It does not have to be overly expensive to be special, just good. Make your favorite meal with perfect care, if it’s for a special someone doing what you know will take the edge off. This frittata has two of my favorites: asparagus and smoked salmon (and a bagel with schmear on the side). So there you go, go up the river and bring back the memories—just leave King Solomon behind. Serving Size= 2. Prep + Cook Time= 15 minutes. 1) In an oven-safe skillet on the stovetop over medium heat, warm pan and melt butter. While butter is warming, crack eggs into a bowl, add milk, vanilla and whisk together. When butter begins to bubble, sauté asparagus until a dark green, about 3 minutes. Add eggs over top, leave on heat for 3 minutes. 2) Turn broiler on. Place skillet under the broiler and bake 8-10 minutes. Eggs are done when they are set and lightly browned. Remove from broiler, place smoked salmon over top, return to broiler for no more than 20 seconds (you do not want to cook the salmon—it is already smoked—just warmed). 3) Serve with cream cheese schmeared toast or bagel. There are two desserts of my youth I remember distinctly: baked caramelized fruit (pear or apple) and apple pie. The baked fruit was always my favorite. Overzealous trips to orchards in early fall would result in bins of apples stored in my family’s basement. As we got to the bottom of the bins, those sub par broken down apples became a sweet treat. Unbeknownst to anyone else, my mother would rummage through the apples, plucking up bruised and downtrodden fruits. A sweet heavy haze of caramel would impregnate the house. Noses would turn skyward, tracking the smell like the expert scavengers my brothers and I were. Floating into the kitchen on the wings of our noses, we took our positions at the counter awaiting our prize. Soon enough, my mother would pull the fruit from the oven. Sepia tinged, wilted from heat, and bubbling over the top, once perfect fruit was transformed into a superior delicacy. Forks injected prey and all was liked clean. 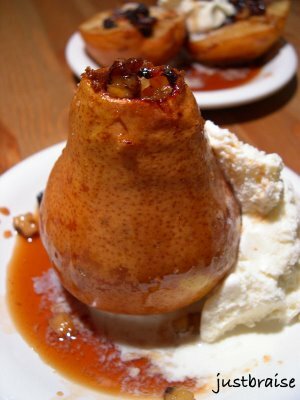 Baked caramelized fruit is one of the easiest desserts to prepare. Healthiness can be altered according to personal preference, altering the quantity of brown sugar used. With little effort and some quality oven time, one can turn past-prime fruit into a splendid dish to savor. With a scoop of vanilla ice cream this dessert is brilliant. At my local French restaurant a pear is soaked in red wine over night and called, “Poire Belle Helene.” At another restaurant, a banana is caramelized and served with a rich molten peanut butter cake (the same as the molten lava chocolate cake but with a peanut butter center). Here it is simple, quick and delicious. The wolves will be brought with trickery to the table, devouring their fruit in a gluttonous huff. Serving Size= 2. Prep time= 5 minutes. Bake Time= 35-45 minutes. 1) Preheat oven to 375F. Prepare pears and set on a baking dish. Stuff each pear with ½ Tbl brown sugar, ½ Tbl raisins, ½ Tbl walnuts, layering, then the other ½ Tbl brown sugar, raisins and walnuts (each pear receives 1 Tbl of all ingredients). Place in center of oven and bake uncovered 35-45 minutes. Pears should be golden, slightly wilted and soft. 2) Serve on plates with a scoop of ice cream. Pour released juices over top. 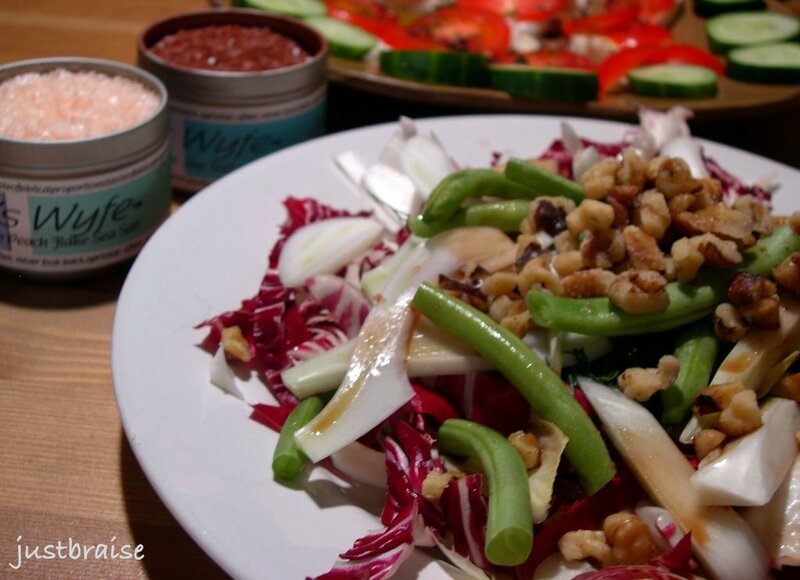 I often use walnuts and dried cranberries (not sweetened Craisins) in my salads. 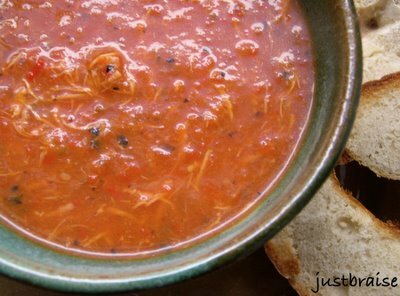 It sweetens as well as breaks up the usual routine of tomato-carrot-celery. I once did this for my friend B from Egypt. I brought out the salad and to my delight B took a bite and was wowed: “How did you think to add the nuts with cranberries-- and pear?! This is amazing.” High on the powers of praise, I neglected to tell B that it is actually a fairly popular salad combination here in the States; I merely shrugged. Much to my delight many a variety of the Waldorf salad is making its way onto menus across the country. Health conscious clientele are pushing the traditional mayonnaise-based dressing out of habit, calling for a more delicate covering, allowing natural tastes to break through. The Waldorf salad’s namesake comes from the hotel it originated from: The Waldorf Astoria, in New York City. Created in 1886 by the maître d’hôtel, Oscar Tschirky, the original recipe calls for apples, celery and mayonnaise; it was later that walnuts were added to the mix. Since then, the salad has morphed into many variations. I was recently taken to the famed Waldorf Astoria for a luncheon. The Waldorf salad was ordered out of respect for the establishment. The hotel now adds avocado to their salad, an excellent surprise. I unfortunately (or maybe happily) left that meal so stuffed I was in a food daze the remainder of the day. This meal was the catalyst to the birthday week of gluttony, ending with pants splitting along the leg seam. This incident will also cause me to take a more (somewhat) subdued and healthy approach to cooking this week, starting with this salad today. There are too many modifications to suit specific tastes over the years that I will only say this: mix and match your favorite nuts, dried and fresh fruits, and lettuce bedding, and you will most likely produce a delicious, healthy salad. For my own, I usually stick with endive, pear and a tossing of good crumbly feta. Today I went without cheese and added radicchio (which resembles a small red cabbage with a slightly spicy taste). I also coated the salad liberally with Lot’s Wyfe New Zealand pink coral salt, and a sprinkle of Manicardi Balsamic Vinegar, my two new favorite kitchen additions. One can also make a light mustard-lemon juice-olive oil vinaigrette. Serving Size= 2. Prep time= 5 minutes. 1) Combine and mix the endive, radicchio, fennel, apple and green beans. Distribute onto 2 plates, sprinkle cranberries and walnuts on top. Drizzle with a good balsamic vinegar, or a homemade mustard-lemon based vinaigrette. Add salt/ fresh ground pepper to taste. It is only recently that I have come to appreciate the subtle, sweet nature of leeks. In soups, they are bold enough on their own, or a perfect cover up for those who detest the onion. Leeks are a fabulous flavor enhancer to seafood dishes (perfect with broiled scallops). They are delicious in an omelet, over a salad, or slightly sautéed in a vegetable purée. There is written evidence of leeks since the time of the pyramids. The Greeks once dipped leeks in their very precious oils before eating, thinking it did marvels for their singing voice. In present day Europe, the leek is jokingly known as “poor man’s asparagus”. I would have to say the earthy flavor of asparagus is far different than the subdued leek. To this day, the leek is the Welsh national emblem. Related to the onion and garlic, leeks carry the same health-promoting qualities: reduction of LDL (“bad”) cholesterol while raising HDL (“good”) cholesterol; reduced risk to certain forms of cancer; and high in many vitamins, especially those that stabilize blood sugar levels. Leeks are best late fall to early spring when they are in season, though they are available all year round. When buying leeks, look for ones on the smaller side. These offer a more sweet and full flavor. They should be firm, with a good portion of white stalk (in most dishes you will only use the white part). If stored in a plastic bag, leeks can last in the refrigerator for just over one week if stored untrimmed and unwashed. 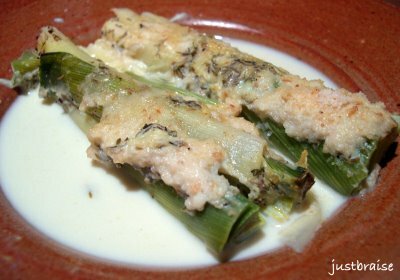 Once cooked, leeks will only retain freshness for about two days. Make sure to wash leeks well. Usually grown in sandy soil, dirt can easily get into the inner rings of the leek. To wash, remove outer leaf and slice in half lengthwise. Under running water, use your fingers to wash between the layers, scrubbing any dirt that may cling. I have wanted to make this recipe for a while. I go to the grocery, buy leeks, eventually making soup and end up throwing them in. 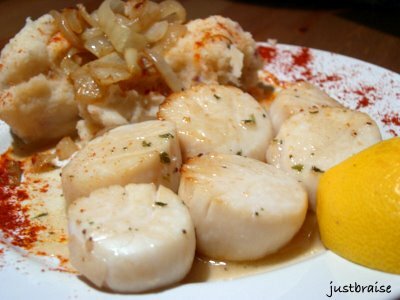 When I had scallops in the house, I was going to braise the leeks, resting the scallops on a fresh, green bed. This would be an excellent pairing and suggest people try it. (Instead I went for horseradish spiked mashed potatoes, which was equally delicious). In this recipe, the cream and Parmesan cheese compliment the sweet leek perfectly, while the bread crumbs toast into a lovely crunch. Perfect standing on its own as accompaniment, this dish is terrific. Serving Size= 2. Prep time= 5 minutes. Cook time= 45 minutes. * 4 leeks, halved. Trimmed of dark green leaves and washed. 1) Preheat oven to 400F. After washing and trimming leeks, assemble halves layers up in a baking dish. Pour in the cream (or milk) and stock, sprinkle thyme over top. Bake uncovered on the center rack for 40 minutes. 2) Remove, sprinkle bread crumbs and Parmesan over the leeks. Return to oven and bake another 5 minutes, until bread crumbs are lightly golden. Remove and serve. The door to a girl’s heart lies in a fluffy pancake. I do not take comfort in flabby, thin pancakes I have sometimes been served. Nor am I much a lover of the generic buttermilk pancake. Though good, I have grown tired of their monotony. Recently, I was served a wheat germ pancake larger than a Frisbee. I was more impressed by the size than the flavor. At this same meal, I was told my friend’s upcoming wedding will serve pancakes at the reception. From my favorite pancake spot I used to order 10 little dollar pancakes. Sometimes known as silver dollar pancakes, I enjoyed these because my tiny hands could cup a pancake, and easily be shoved whole onto my delicate palate. My grandmother makes pancakes without following a recipe, effortlessly puffy, requiring all grandchildren to drench them in her homemade jam. If another’s jam is brought to her kitchen she will “forget” to put it out amongst her own. I have required D to make these pancakes for me often. They are his family’s “secret” recipe—taken from a cornmeal box long ago. They are the pancake of his youth and happily remembered breakfast table. The first time he made these pancakes for me he held the phone to his ear, mixing ingredients, as his mother retold the recipe she refused to write down. A few weeks later, he had called so often, the recipe was mailed to him. We have also altered the original recipe slightly. Again to D’s horror, I emptied a jar of applesauce into the batter. You’ve ruined it, he moaned. Remember the apples, I pushed. When the pancakes were complete they were fluffier than ever. Since then, whenever applesauce is in the house, we happily add it, along with any fruit we may have. D and I normally make a whole batch of these pancakes. Their subtle aroma fills the house and two or three days later we pop them cold into our mouth on the way out the door. We offer them to friends who are overly impressed with their not-so-simple looking nature. Little do they know how simple they really are. The key to these pancakes is in the cornmeal and molasses. Only top-quality ingredients should be used. Last summer at the Indiana State Fair, D’s mother gifted us a bag of cornmeal from Sunny Slopes Farm. It is the perfect cornmeal for this pancake (they do not take online orders: 765.874.2170). A few months later when we ran out of cornmeal, I called Sunny Slopes. As I spoke to Mrs. Slope herself about the benefits of farm-fresh products I told her I would only buy direct from farms in the future. She laughed and sent me 2 lbs of cornmeal, complete with invoice. A few days later I kept my promise, ordering goat cheese I had fallen for from a farm outside of Poughkeepsie. These pancakes are simple and delicious. Making them takes little effort. They are sure to become a household favorite. With this recipe, you may now discard all other pancake recipes (except for maybe the baked apple pancake). Play with the amount of molasses used. D and I actually use Sorghum, about double the asked for quantity. We also usually throw in fruit-- this is optional, but delicious. Do what you may, but never say these babies are dull, lacking flavor or fluff. Makes about 15 4-inch pancakes. Prep time= 10 minutes. 1) Beat together egg, milk, vinegar, molasses, butter, and applesauce. 2) Add flour, sifted with salt, baking soda and baking powder, stir until blended. 3) Add cornmeal, stir until just blended. 4) Warm a skillet on mediu-high heat. Melt 1 Tbl butter. When pan is hot, use a 1/4 cup measure to scoop and drop even batter. Place fruit slices ontop of batter. Cook until bubbles begin to appear, about 3 minutes. Flip, cook for another 2 minutes. NOTE: Sliced apples, pears, blueberries, or any other fruit is amazing with this batter. Another version is to use buttermilk instead of regular milk and vinegar. Just when I mention the winter ocean picking up the slack for the things we crave, I desire the joys of summer. 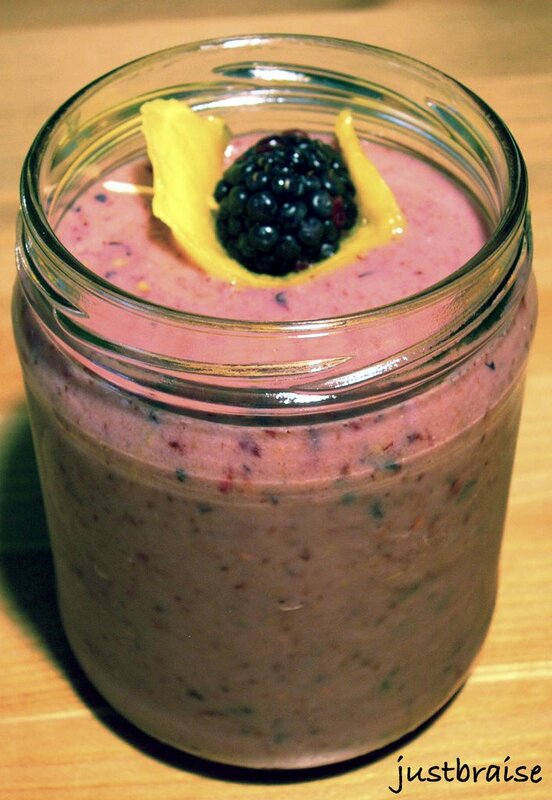 With one mango to my name and a handful of blackberries, what else is there, but a delicious smoothie? I am not talking about that slick electronic “BlackBerry,” I happily do not own and is the joy (and misery) of lawyers across the nation. The blackberry I speak of is plucked from the bush. They turn your clean hands a royal purple and are a sweet and pleasant fruit. Native to many parts of the world, the blackberries we consume today have been used for over 2,000 years in medicinal and culinary purposes. Their thorny branches are also a tasty way to keep intruders away, though your delicious bush may be plucked clean, the thief will easily be caught purple-handed. The berry was once crushed and used as ink (forget the dog, I might eat my own homework). Today, amidst other disease research, blackberry tannins are being studied for their role in fighting cancer. While in Latvia, my cousins mixed blackberry juice (as well as current juice, orange juice and vodka—or combination of all) with Balsam—their claim to a quick fix of whatever ails a person: from upset stomach; to hangover; to liver damage. I will say this combination was rather revolting, but alone, blackberry juice was thick and delicious. I have yet to find it in the United States, but maybe my search has not reached far enough. It seems that when the weather turns to the worst and our taste buds crave the joys of summer (namely fresh seasonal fruits), the ocean picks up some slack. Like mussels, the plump prizes known as scallops are in season October through March and should definitely be dined on. The jewel of the ocean: soft, sweet, and meaty-- these little bivalves are a kind pick. Because of their sweet nature, scallops are an ideal pairing with uncommonly used entrée flavorings: sautéed with pear and honey; on a bed of creamy braised leeks; mango salsa; or in this case, accompanied with horseradish mashed potatoes crowned by caramelized onions. High in flavor, protein, fatty acids, vitamin B12, magnesium, potassium, and low in calories, scallops are the perfect “good for your heart” meal. They are surprisingly filling so do not shy away from the cost that quality scallops can run. In my local fish market I can find the treasured bay scallop for $14 per pound-- I have seen them for as much as $35 per pound. From the French escalope, written records show that scallops have been harvested in the bays of North America since the late-1700’s (probably even before this time). The scallop shell is the typical “seashell” image many of us carry in our mind—not the conch, mussel, or oyster, it is the circular wave-like shell with a flat base where the two halves connect. A scallop’s age can be gauged by counting the consecutive ridges on the shell. They are hermaphrodites, changing sexes depending on the water’s temperature (talk about a gaggle of girls). When purchasing scallops, look at them first. Colors should range from off-white, slightly beige, to a pinkish hue. Sizes and shapes should vary slightly. If you see scallops are uniform in size they may be imitation (possibly shark) or cut from larger, less tender scallops. Pure white in color may be a sign that the scallops have been sitting out, absorbing water and chemicals. Next, smell them. They should not have an overly fishy aroma, but a slightly sweet scent. Like all fish, scallops must be kept cold. Immediately after purchasing, put the scallops in the refrigerator. Scallops can be kept fresh for up to two days. However you choose to eventually prepare your scallops, cooking time should be limited to a few minutes. Never overcook your scallops or they will turn into rubber. And in my belief, stay away from fried scallops as it breaks down the delicate quality that makes them so succulent to indulge. This meal was a simple one. I chose to broil these scallops with a little butter, lemon juice and garlic. The end result was a sweet decadent treat. I was in the mood for horseradish (what is better to accompany fish?) and decided to throw them into buttery mashed potatoes. Topped by caramelized onions, this was a sweet and tangy pairing very fitting to the meal. Makes 2 servings. Prep + Cook Time= 15 minutes. 1) Turn the broiler on. Wash the scallops and place on an oven-safe, non-reactive surface. Do not stack scallops. Add all ingredients evenly distributed over the scallops. 2) Broil 5 minutes, flip, broil 5 minutes (or until each side is slightly golden). 1) In a pot on the stovetop, place potatoes in cold water with a sprinkle of salt. Cover and bring to a boil on medium-high heat. Boil potatoes until soft when poked with a fork. 2) While potatoes are boiling, warm 2 Tbl butter on a skillet. Add onions. Sauté on medium-low heat until onions are golden, about 20 minutes. Stir frequently so onions do not burn. 3) When soft (about 30 minutes), drain water and return to potatoes in the pot to the stove (now place the scallops in the broiler). Add the remaining ingredients and mash until desired consistency (smooth or chunky) is reached. Cover and keep in warm pot until scallops are ready. * Le Creuset's new Oval Skillet. It is large and fabulous.